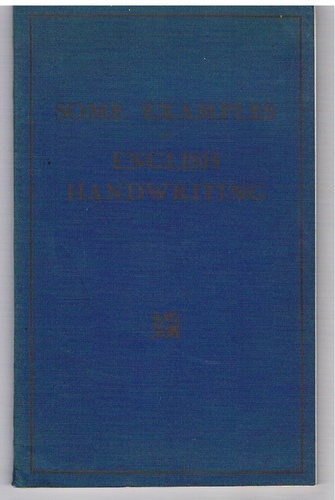 Some Examples of English Handwriting. 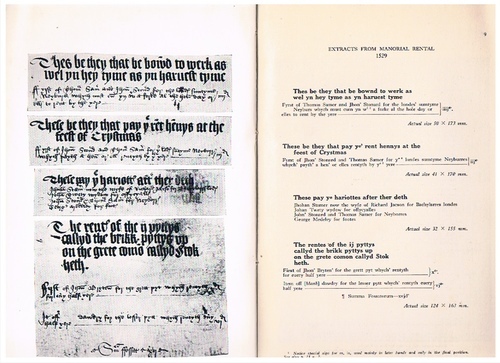 From Essex Official Ecclesiastical, estate and family archives of the 12th to the 17th century. Original printed wrappers, [ii]+30pp., b/w plates. A good clean copy, joint inside just starting. ; 1949 Wrappers, 30pp., b/w plates. Ex lib., upper wrapper detached but present. G.